This method is in widespread use throughout the access control industry. The coded information is stored onto a magnetic stripe, similar to the material used in audio tape manufacture. Consequently the data can be unobtrusively read and copied to another card in the same way as "tape to tape" copies. Cards are therefore not fully secure against persons equipped with appropriate copying equipment. 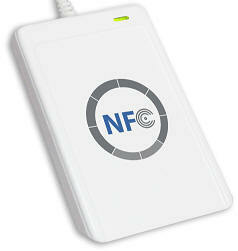 Nonetheless, a good access control technology for medium scale security applications. Track 2 is generally used, with a hico stripe for access control systems.